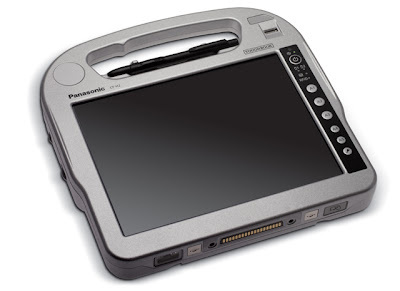 Panasonic tough book has good processor specs, it would get the stable place in the market..
With the looks of this one, I bet this is really tough. The specifications are quite good as well. I'm sure that this one would be best for users who are in the field of construction or it can also be best for people who are looking for a tablet which is heavy duty.